ETKO Sports Academy – Fun. Fitness. Family. Based in Aberdeenshire, we combine purpose-built facilities with top-quality coaching, exercise classes and sporting activities. All are welcome at our Oldmeldrum Sports Academy. Our focus is on helping each individual member to achieve their potential whilst inspiring a life-long love of fitness. We aim to provide a person-centred coaching experience in a supportive, well-resourced teaching environment. 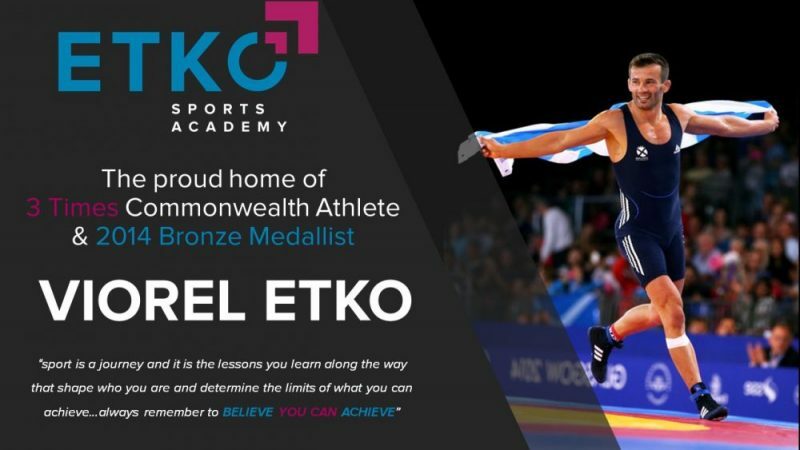 Team ETKO is led by former international gymnast Laura Etko and her husband Vio, a 3 times Commonwealth Athlete and 2014 Bronze Medallist, in wrestling. Where your Child’s Sporting Journey begins. We recommend that children start as early as possible to enjoy the full benefits of our programmes. Our preschool programmes focuses on Body Preparation & development of the Fundamental Movement Skills. Everyone likes to exercise differently – that’s why we offer a range of sporting activities, class formats and wellbeing products for our adult members. Our Gymnastics and Wrestling Competitive Programmes are for youngsters who demonstrate a desire and talent to take their sport to the next level.